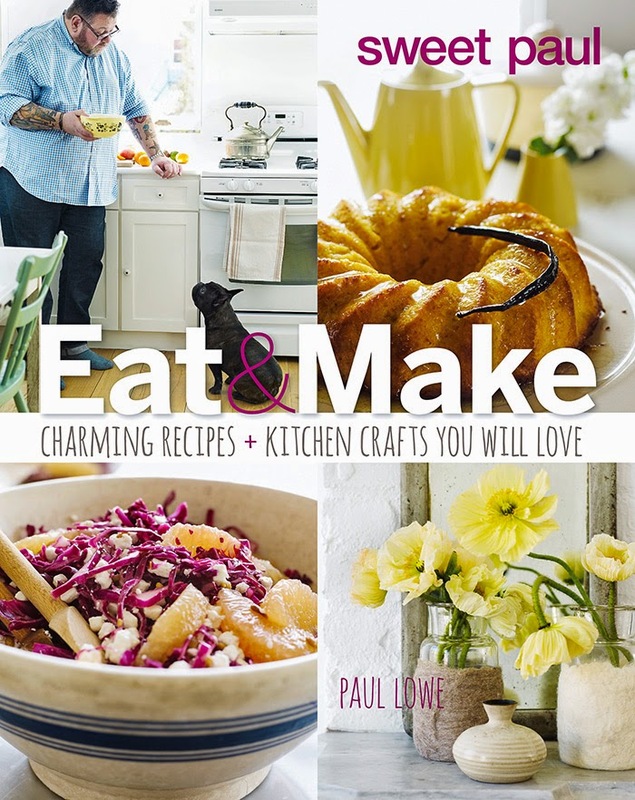 Paul Lowe's love of beautiful things and comfort food that brings families and friends to the table jumps off the pages of his debut cookbook, Sweet Paul Eat & Make. 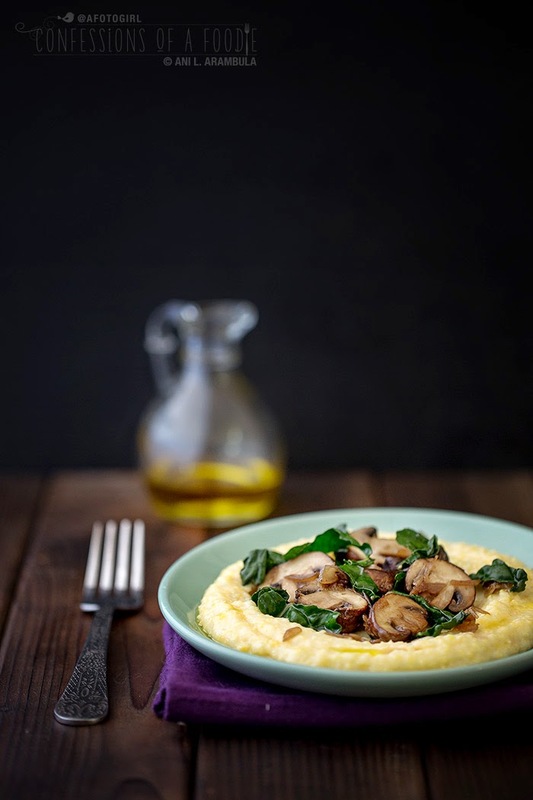 Creamy Polenta with Kale & Mushrooms recipe from Sweet Paul Eat & Make. with writing collaboration by Paul Vitale. Houghton Mifflin Harcourt; 283 pages; $30. Cover photograph courtesy Houghton Mifflin Harcourt. "I really don't care for visual perfection. I want the food I cook and the crafts I make to look like a real person made them. 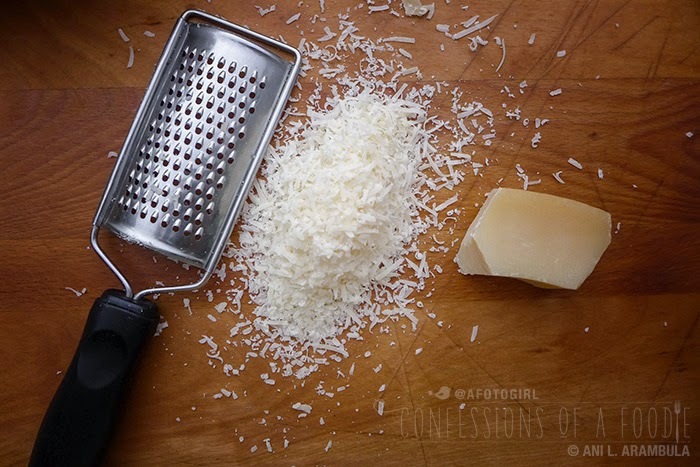 My philosophy is very simple: few ingredients, easy steps, and amazing results. With this book, you will always end up with something beautiful that will impress friends and family." When I was given a copy of the charming cookbook, Sweet Paul Eat & Make: Charming Recipes + Kitchen Crafts You Will Love, I admitted to never having heard of Sweet Paul. But flipping through this cookbook, I knew that I had come across a kindred spirit. Currently living in New York, Paul Lowe, a craft and food stylist, grew up in Oslo, Norway. Raised by his grandmother, Mormor, and his great-aunt, Auntie Gunnvor, Lowe gained an appreciation for homestyle cooking and crafts from a very early age. He started his blog, Sweet Paul, in 2008. Then in 2010, he turned it into a visually stunning online magazine. In the spring of 2012, Lowe took the magazine to print, selling it in Anthropologie stores nationwide. Lowe credits his grandmother and great-aunt for encouraging his creative endeavors. "I loved helping in the kitchen," says Lowe. 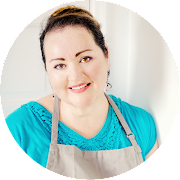 "I had my own knife and cutting board, my own set of bowls, and my own space on the counter that I could reach by standing on a chair." When I read this passage in the introduction, I couldn't help but smile. It reminded me of my own early memories, standing on a chair helping mom roll out tortillas. I couldn't wait to get past the introduction and dive into this beautiful collection of recipes and craft how-to's. The book is divided into four main sections: Morning, Brunch, Noon, and Night. 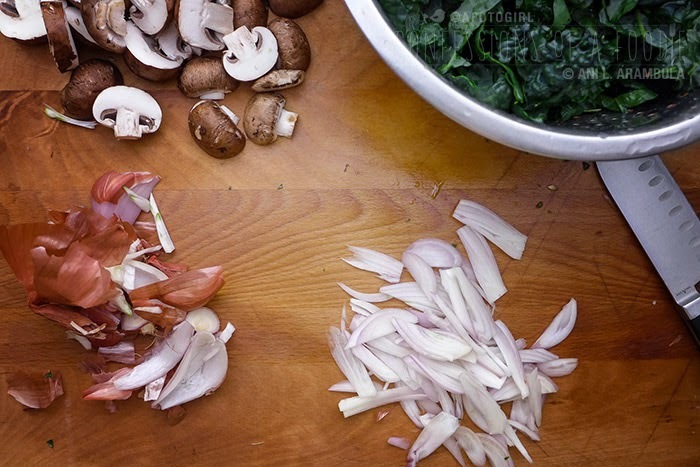 Each section is preceded by an introduction and further divided into Eat and Make. 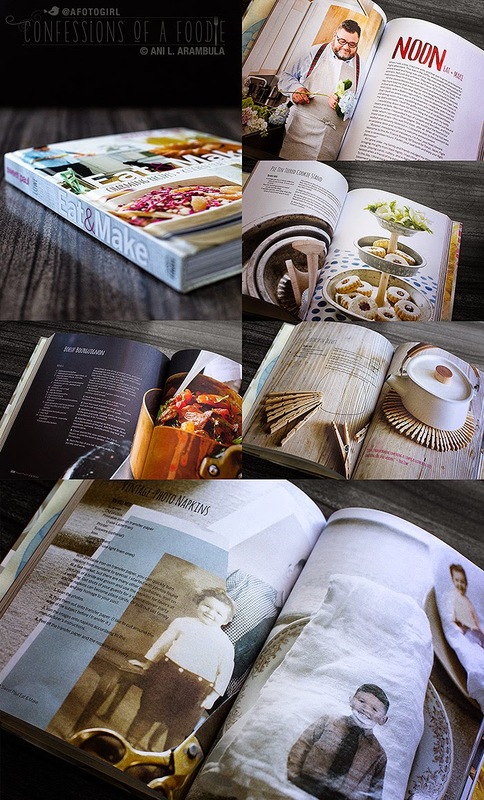 Every recipe is accompanied by a gorgeously styled photograph and is clearly written with easy to follow steps that any home cook can follow. The 10 morning recipes include such mouthwatering choices as Pumpkin Pancakes with Hot Plum Syrup, Baked French Toast with Strawberries & Vanilla Syrup, and Maple-Roasted Granola. The crafts include Fork Bookends, Coffee Filter Flowers (pretty! ), and DIY Dish Detergent. From the 11 brunch recipes, I'm dying to try the Baked Doughnuts with Chocolate and the Breakfast Pizza with Pancetta, Eggs & Potatoes. The crafts in this section include a Pie Tin Tiered Cookie Stand (so rustic, I'm now on the hunt for vintage tins! ), and Natural Dip-Dyed Tablecloth. Lunch offers a wide variety of choices among it's 20 recipes. From a Feta & Lemon Dip to soups (yum! Cauliflower-Curry), salads (Zucchini Salad with Goat Cheese, here I come! ), pastas (Pasta with Chunky Pesto just in time for summer basil crops), and several sweet lunch endings like Chocolate & Raspberry Cake, and Roasted Plum Bellinis. And not to forget fido, the last recipe in the lunch Eat section is Lestat's Turkey Woof Balls (oh, Starbuck, get ready for a tasty treat soon). Noon Make projects include some fun ones for entertaining and hostess gift-giving like Oyster-Shell Place Cards, sweet-looking homemade clay Spice Bowls, and an Olive Oil Scrub. Finally, there's Night, with a whopping 25 recipes to choose from. It's been a tough decision deciding which recipes to make. 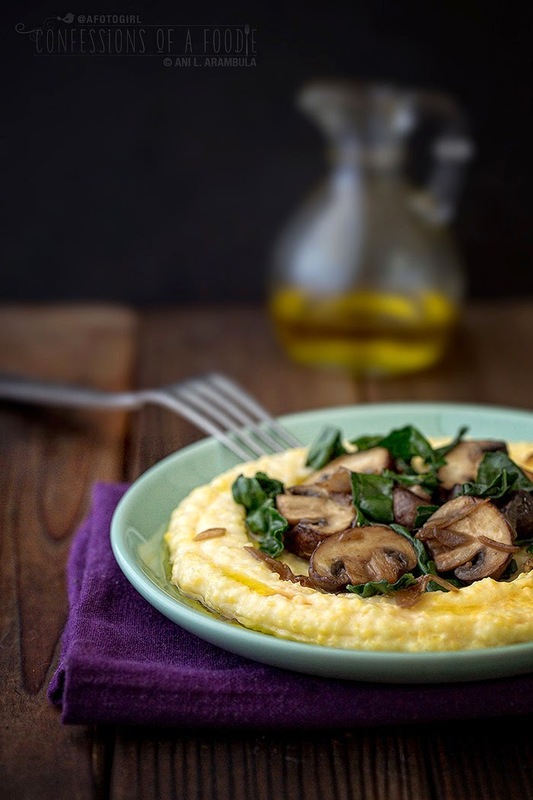 The one I've made twice already is the Creamy Polenta with Kale & Mushrooms. 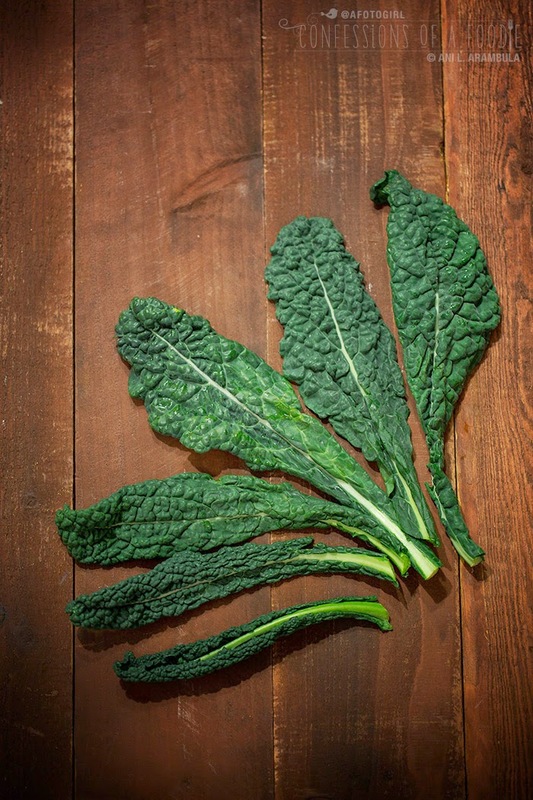 It was the perfect Lenten dish for me and was just as delicious the next day for lunch. 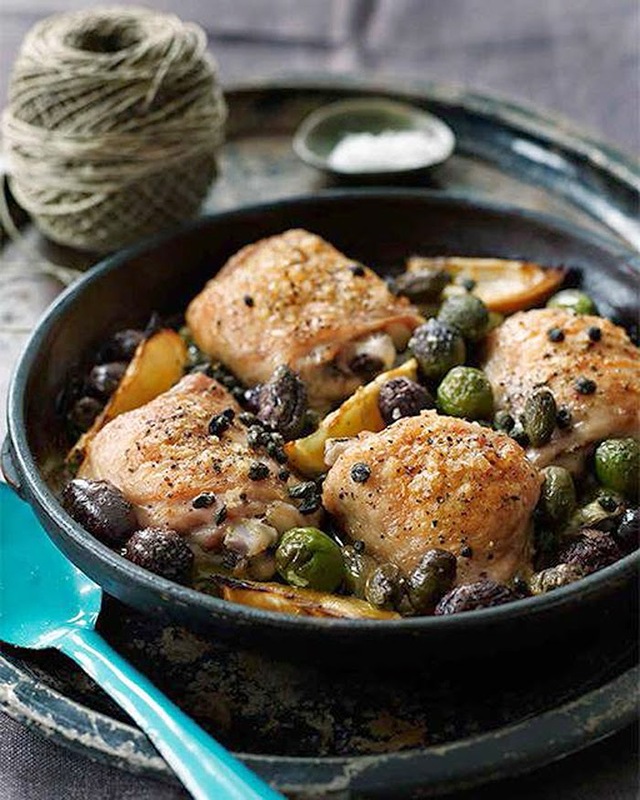 There's a Mac & Cheese that incorporates Jarlsberg and zucchini, a delicious Chicken with Olives & Capers (pictured above), and luscious Red Wine & Honey Braised Short Ribs with Cauliflower Mash. Crafts include Painted Chargers and Pie Tin Frames (so sweet!). Lowe's love of beautiful things and comfort food that brings families and friends to the table jumps off the pages of Sweet Paul Eat & Make. Filled with gorgeous photography and illustrations and sprinkled throughout with sweet stories from his childhood that are written in a warm, inviting voice, this is the kind of book that will inspire you for years. 1. Bring the water to a boil in a large saucepan. 2. 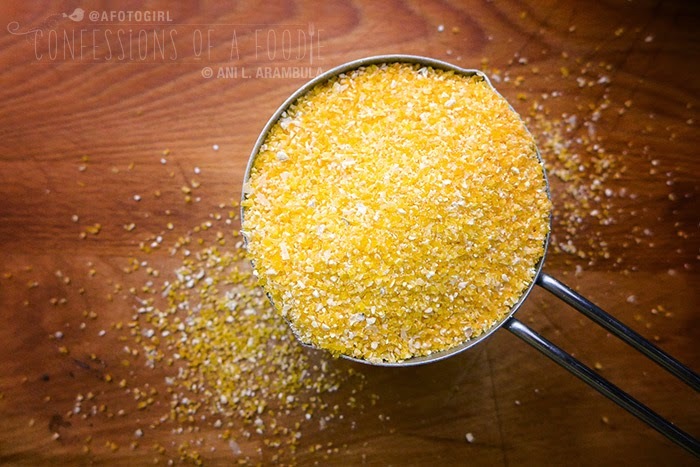 Gradually add the polenta, whisking all the while. 3. 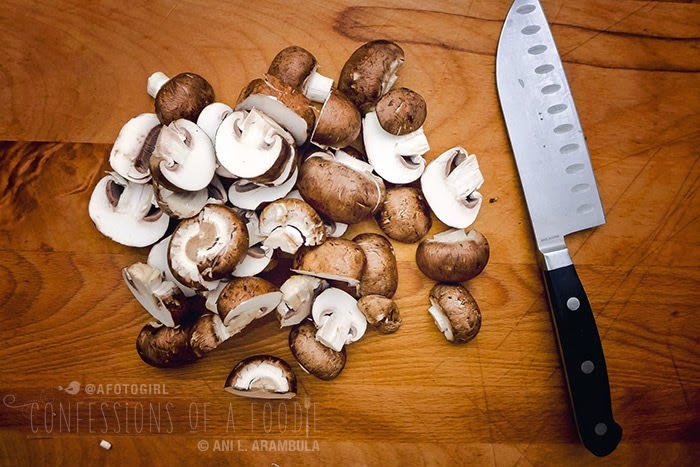 Reduce the heat to medium and cook until thickened, stirring frequently, about 30 minutes. 4. Remove from the heat. 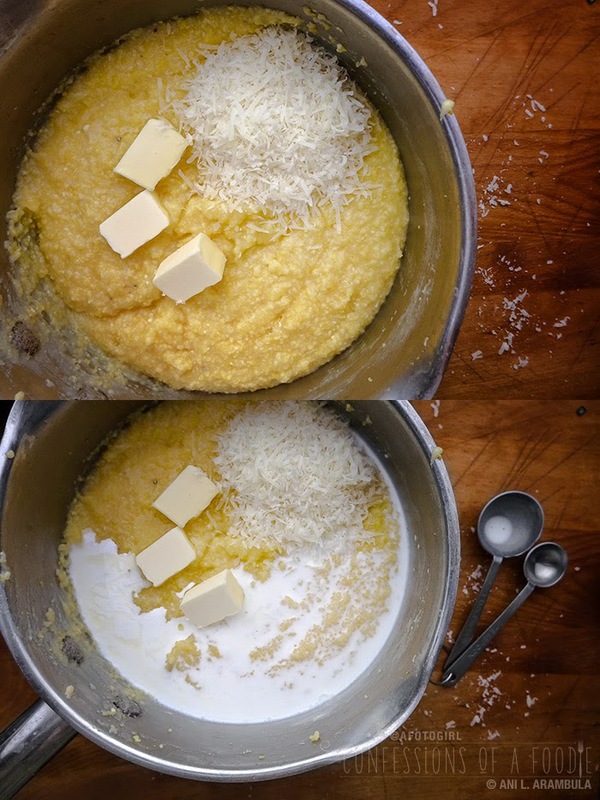 Stir in the cheese, cream, and butter. 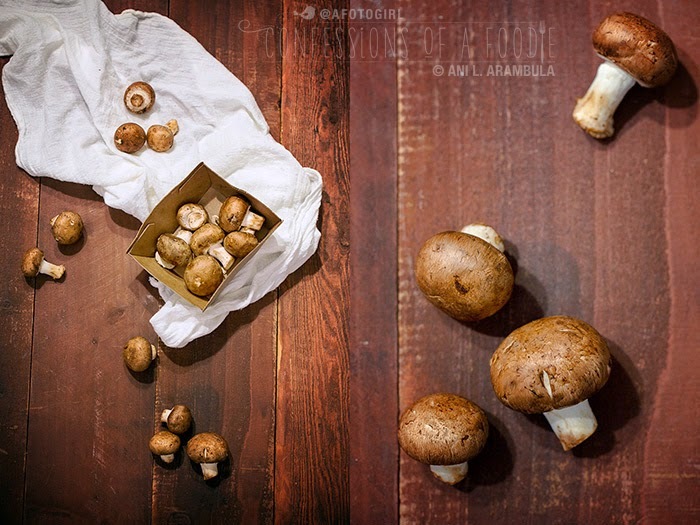 Season with salt and pepper, cover, and keep warm. and cook, stirring, until the shallots are golden, 8 to 10 minutes. 6. Add the kale and cook until the kale starts to soften, about 2 minutes. 7. 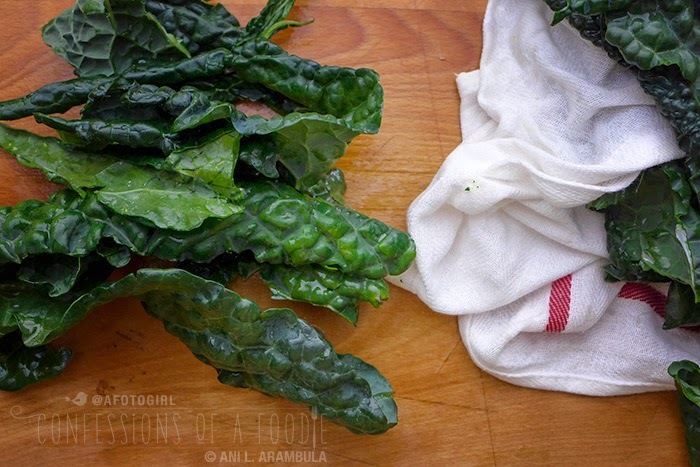 Divide the polenta among four bowls and top with the kale mixture. 8. Drizzle with a little sherry vinegar and olive oil and serve. Excerpted from SWEET PAUL EAT & MAKE, © 2014 by Paul Lowe Einlyng. Ani, it looks delicious. I've never had memorable polenta. This one will be hard to forget!